Team USA’s Amanda Sobhy pulled off her most significant result since returning from a ten-month injury hiatus, upsetting world No. 6 Nouran Gohar to reach the quarterfinals of the 2018 Windy City Open presented by the Walter Family and Equitrust Sunday at the University Club of Chicago. Sobhy came back from a game down to defeat the Egyptian five seed 8-11, 11-6, 11-6, 11-5 in thirty-nine minutes. The Windy City Open is Sobhy’s third tournament of 2018 following her first appearance back from injury at the 2018 J.P. Morgan Tournament of Champions last month. Sobhy, a US Squash Elite Athlete Program player, sustained a ruptured Achilles nearly a year ago while ranked world No. 6, but has dropped to world No. 30 following ten months off the court. Sobhy will face New Zealand’s Joelle King in the Quarterfinals Monday, after the Kiwi upset four seed Laura Massaro in five games. 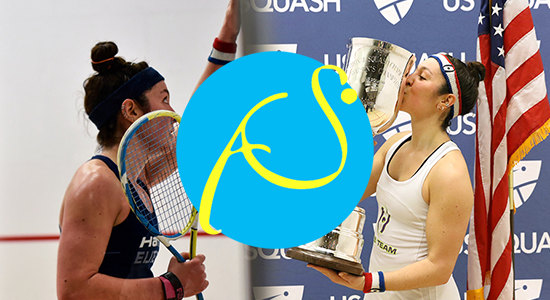 Watch the match live on SquashTV Monday at 5pm local time, 6pm EST.